My parents were both born and raised on the Hawaiian island of Oahu during the depression and in an era where the longshoremen often went on strike. The strikes resulted in a scarcity of many imported products and, I believe, taught my parents to “stock up” on goods and to save everything. Needless to say, their house is pretty full. 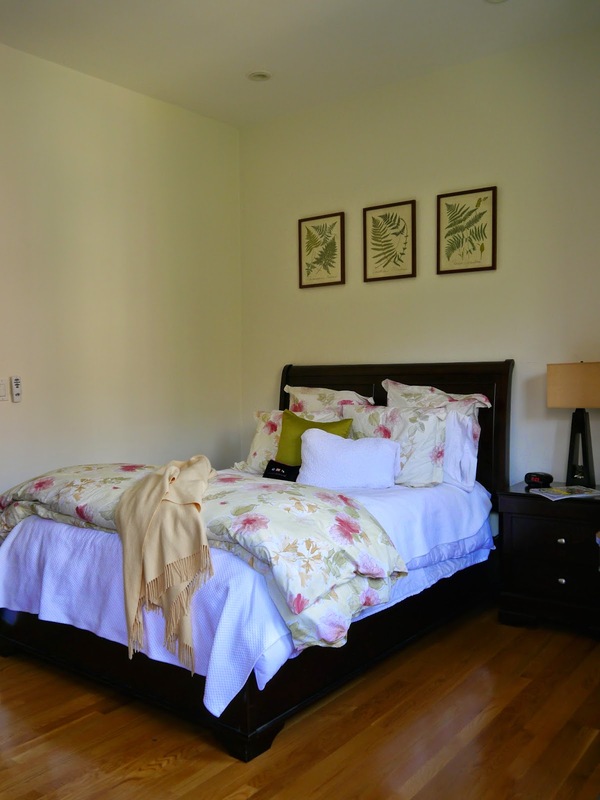 Perhaps because I was raised in an “item-filled” home, I like the exact opposite-I like my home to be tidy and uncluttered where everything has its own place. As a result, I’ve read quite a few books and articles on decluttering and organizing. 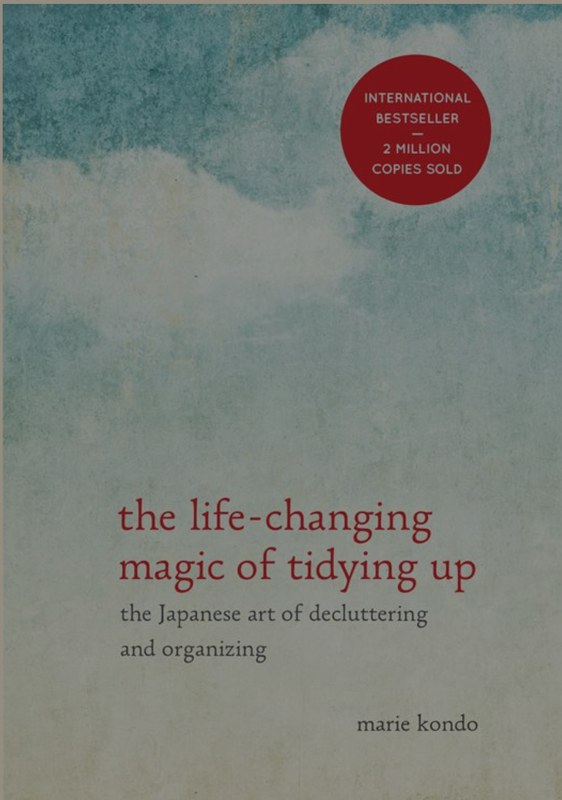 The Life-Changing Magic of Tidying Up is the best and most unique book I’ve read on this subject. Author Marie Kondo advocates removing all unnecessary items from one’s home that don’t bring joy to the owner. While this philosophy sounds a little odd, it really is a great approach to evaluating whether or not to keep something. Employing her method, I looked through all of my gift wrap accessories. There were gifts bags, rolls of wrapping paper and ribbons that were years old. Previously, I couldn’t bring myself to give them to charity or to throw them away because there was nothing wrong with them. I now realize these goods were old because I didn’t think they were good enough to be part of a gift. With my new mindset, it was easy to remove items that aren’t up to my standards. The book also addresses tricky issues like giving away gifts, expensive items and things that hold a lot of memories. 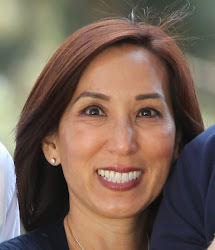 While you may not agree with all of Kondo’s ideas (She treats inanimate objects like people), if you are looking to declutter and tidy your personal space, The Life-Changing Magic of Tidying Up will alter your perspective, and perhaps, your life. 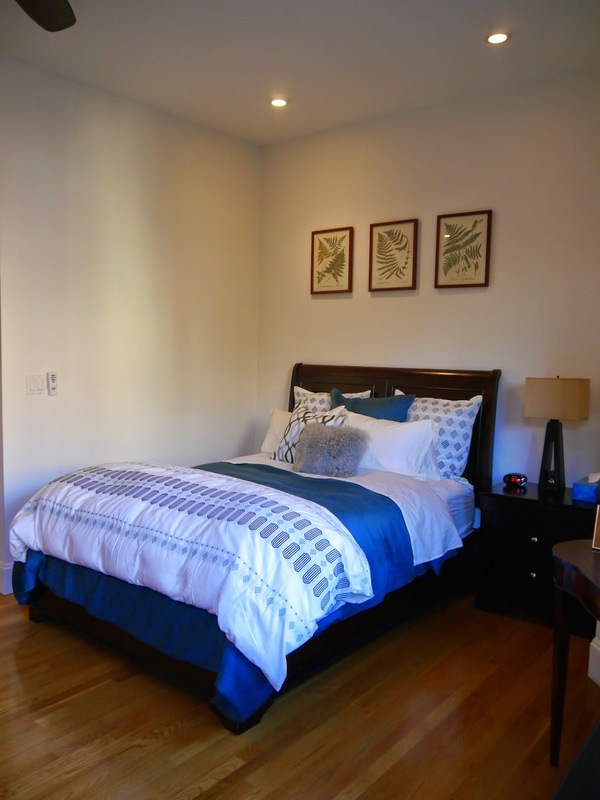 In an earlier post (click here to view it), I wrote about converting the guest room into a room for my college student son, Sean. At the time, I had only installed his new bedding. Well-I finally got my act together and hung up his pictures and memorabilia. I’m pleased (and hope Sean will be) with the result! The room now has his personal stamp on it, and I think he’ll be comfortable in his new room. 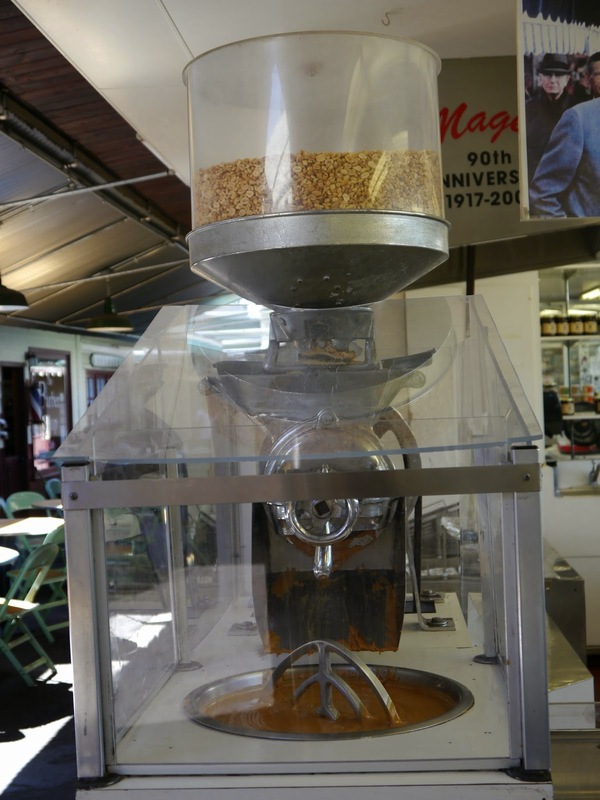 A few years ago, our family took a food tour of the Original Farmers Market in Los Angeles (to visit their website, click here)-it was a fabulous experience, and one we’ll never forget. Despite the 60-mile drive, we‘d return about once every 3 months. The 80 year-old farmers market is located next to the Grove and comprised mostly of restaurants and specialty food shops (there’s even a store that sells only hot pepper sauces!). EVERYTHING we have eaten there is to-die-for! 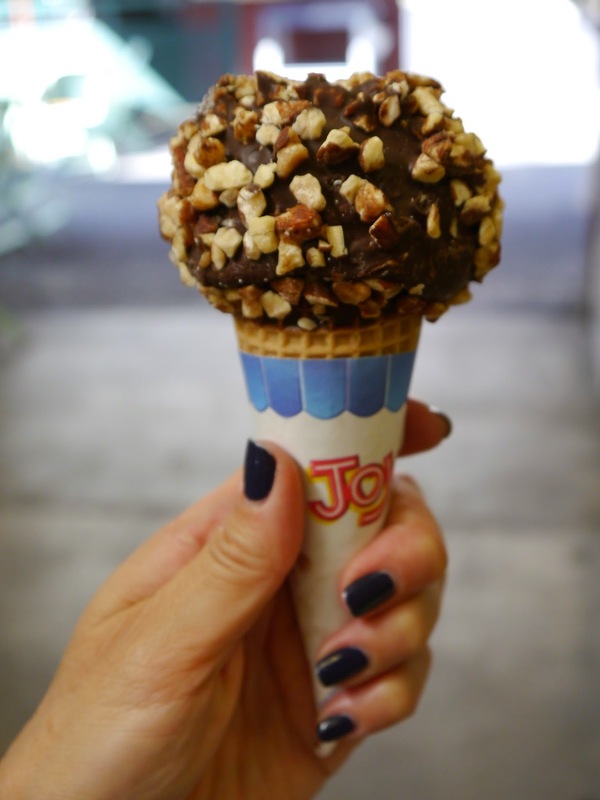 Some of our favorites include: Du-Par’s Pie Shop, Gill’s Old Fashioned Ice Cream Shop, Mr. Marcel Gourmet Market, Pampas Grill (Brazilian food), and Magee’s House of Nuts. 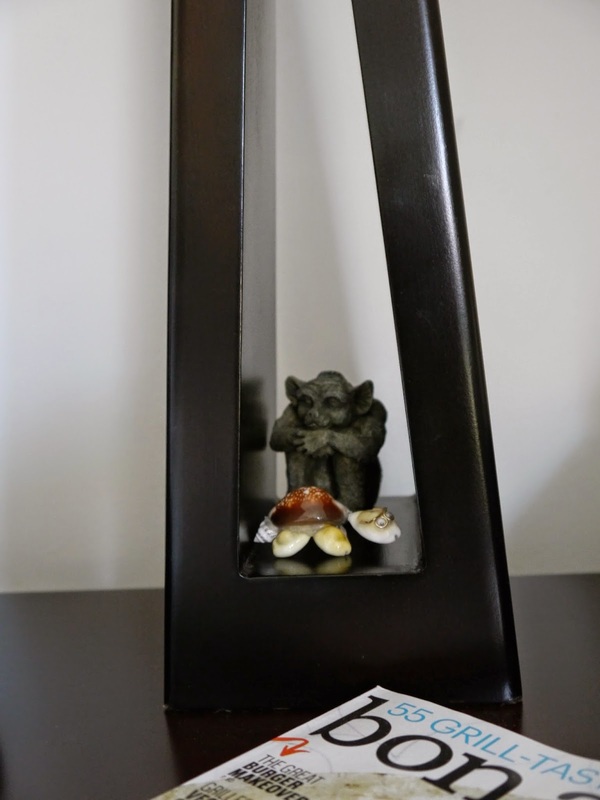 When visiting, I always try to stop by Lustre, an artisanal jewelry shop with handcrafted, unique pieces-I almost always find something there to buy. If you’re in or near Los Angeles, stop by Original Farmers Market for an unforgettable meal or just to browse! one of the fruit stands-even the fruit salad sold there is amazing! than a Major Grey's as suggested in the recipe. The result was delicious! At this busy time of year, it’s sometimes it’s nice to have easy recipes that still impress your guests. Ina Garten’s recipe for Savory Coeur a la Crème (click here for the recipe) fits the bill-With only 8 ingredients (4 if you don’t count the store bought crackers and chutney and salt and pepper), this appetizer is easy, tasty and lends itself to a beautiful presentation. Your guests will love it and ask for the recipe! My love of candy is pretty well documented on this blog, and I’m always on the lookout for new candies. These swirl gummy bears are amazing-they’re unique, tasty, and have a good texture (unlike many gummies that have opaque white parts). They’re a discovery I’m very excited to share! When I look at my wardrobe as a whole, the weakest area is skirts-it’s not that I dislike them; it just rarely occurs to me to buy one. I decided to rectify the matter and actively shopped for a skirt; I planned to buy a black leather tulip skirt, but just couldn’t find one I loved. I did get very excited, though, when I found this skirt at Madewell-it was reasonably priced (on sale), flattering and fun. 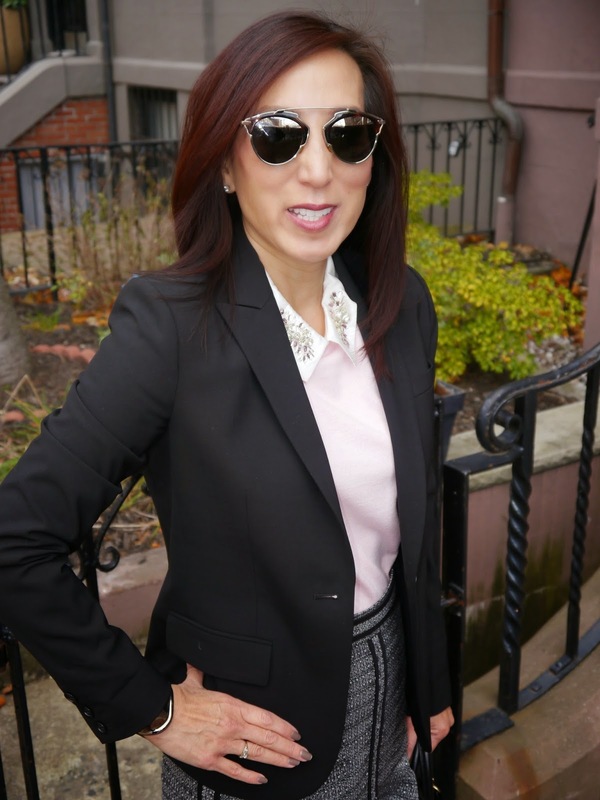 I paired the skirt with a traditional black blazer, pink sweater with an embellished collar (on sale), black tights and high-heeled booties-it’s an updated version of the school girl look-neither too traditional or costume-like. 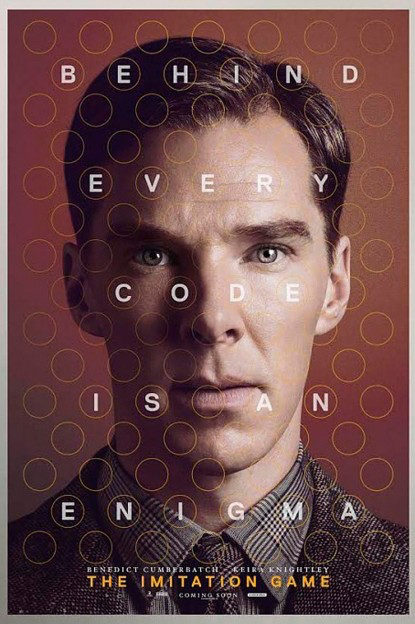 Movie Reviews: "The Imitation Game" and "Wild"
The Imitation Game is based on the true story of Cambridge professor Alan Turing, a computer pioneer who was instrumental in breaking the Nazi Enigma code, thus saving millions of lives. Blunt to the point of being socially inept, Turing was an unlikeable genius who didn’t receive credit for his achievement (during his lifetime) and was later prosecuted by the British government for being gay. Though what happened to Turing was a tragedy and miscarriage of justice, his story is absolutely fascinating! Everything about The Imitation Game (story line, writing, acting, etc.) is outstanding, and I expect this film to be heavily rewarded during awards season. At the age of 26, Cheryl Strayed (Reese Witherspoon) hiked the Pacific Crest Trail (over 1,100 miles) to regain control over her life and to recover from her mother’s (Laura Dern) death. 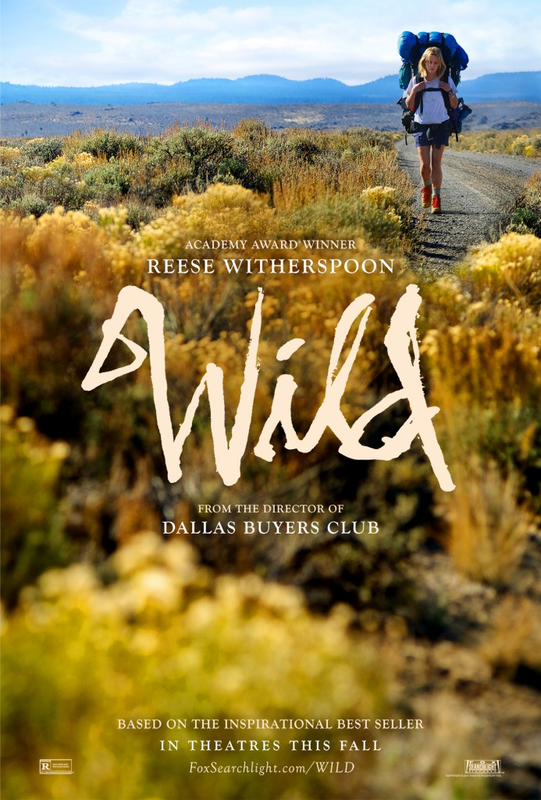 Wild depicts her adventure and what led her down that path. Because I had read Cheryl Strayed’s other book, tiny, beautiful things (click here to view that post) I knew she had a hard time with her mother’s death and had walked from Mexico to Oregon. Her actual journey, though, was intriguing, especially when played out on film. The scenery is beautiful, and Reese Witherspoon’s performance is superb. Side note: Though I just started reading Wild and am only 10% through it, the basic stores are the same, but quite a few details in the film were changed from the novel. Store clerk Joe Goldberg becomes obsessed with Beck after some friendly banter while she purchases a book. Because she used her credit card for the purchase, Joe is able to learn about her life by using her public Facebook and Twitter accounts and then ingratiates himself into it. You is chilling, but absolutely fascinating. Reading it is like watching a freight train crash-you know bad things will happen, but you just can’t stop yourself. In the same vein as Gone Girl, You will keep you hooked! Every now and then, I walk around the house and try to view it as a newcomer would. The last time I did, I realized a few changes were in order. While I once loved the candlesticks on the dining room table, they are now dated and tired. I thought hurricane lamps would be the perfect replacement and was excited to find these at Williams-Sonoma (click here to view the lamps). I added small ornaments to the bottoms of the hurricanes as part of our Christmas décor and will change them seasonally-perhaps to seashells for spring and summer and silk autumn leaves in the fall. 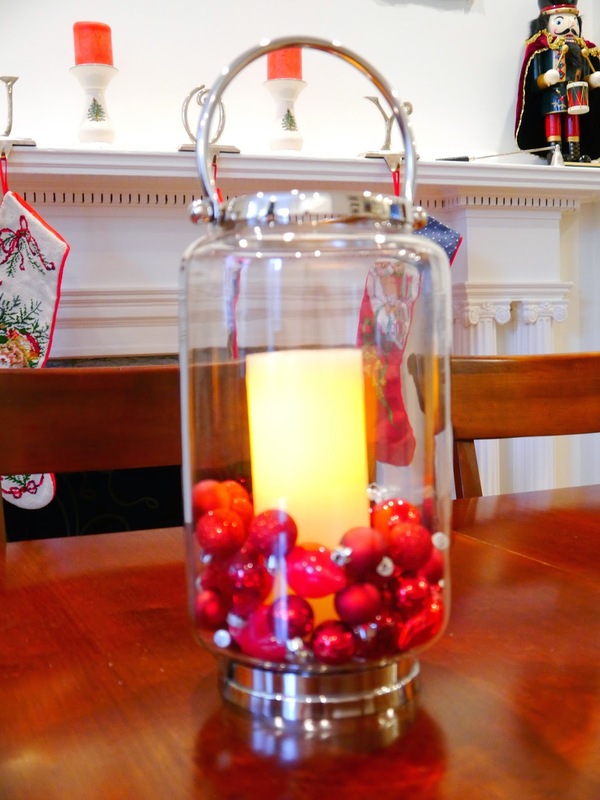 Flameless candles for fire safety reasons. The new hurricanes lamps are a welcome addition to the dining room and add new life to the room! 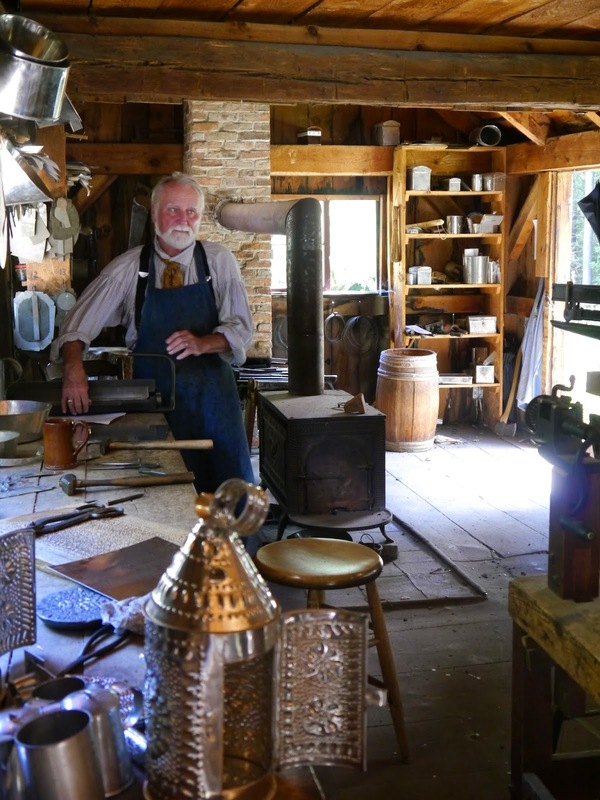 Old Sturbridge Village is a living museum located in Sturbridge, Massachusetts that depicts rural life in the late 18th through mid-19th centuries. 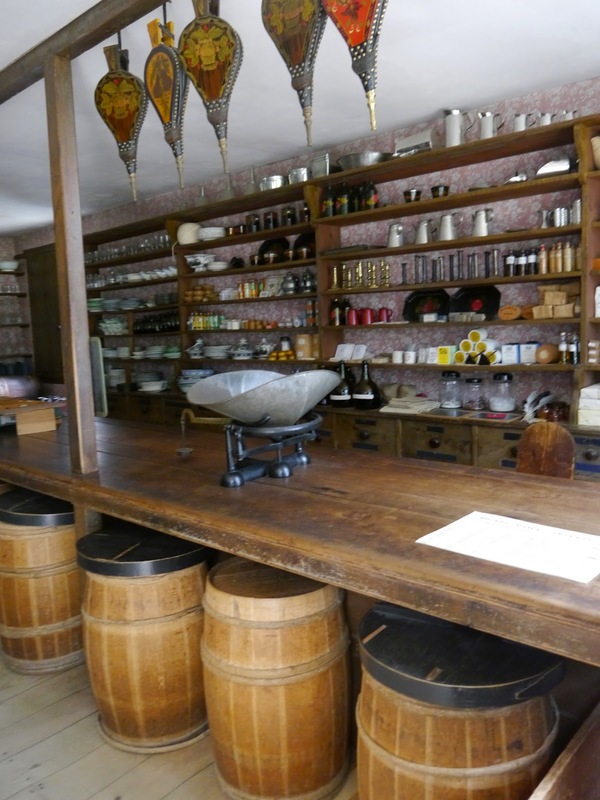 Staffed by costumed, role-playing historians and filled with antique buildings and artifacts, visiting Old Sturbridge Village is an educational, yet fun experience. When I used to go to a favorite Orange County bakery/café, I usually bought an oatmeal chocolate walnut cookie. I took a risk once and bought a seasonal pumpkin cookie. What a great decision-they were tender, had a wonderful pumpkin spice flavor, and reminded me of pumpkin muffin tops. Luckily, I found a similar recipe and have been making them every autumn since. Though it’s a bit late in the season for pumpkin cookies, technically, it’s still fall, so I wanted to share the recipe here. Preheat to 350°F. Line cookie sheets with parchment paper. Using an electric mixer, beat the butter. Add both sugars slowly, a little at a time, until mixture is light and fluffy. Add the egg. Then add the vanilla and pumpkin puree. In a large bowl, combine flour, baking soda, salt, cinnamon, ginger, nutmeg, and cloves. Slowly add the flour mixture to the pumpkin batter in 3 parts. Scoop the cookie dough by heaping tablespoons or using a 1-1/2 ounce ice cream scoop onto the prepared cookie sheets and bake for 15 to 20 minutes, or until the cookies are browned around the edges (cookies spread so don’t put tooo may on a baking sheet). Remove from the oven and let sit on cookie sheets for 2 minutes. Remove to wire racks to cool completely. About 5 years ago, there was a lot of “buzz” in magazines and on websites about the Clarisonic Mia (click here to visit their website), which had just been released. It’s an electric facial brush that uses sonic technology to deeply clean skin, especially pores. I bought one at the time, and still use it everyday. The Clarisonic Mia has made a huge difference to my skin-now I rarely experience breakouts and don’t need to use pore cleansing strips anymore. What I find most surprising about the Clarisonic Mia is that 5 years after it’s release, there’s still a lot of “chatter” about it. I guess quality never goes out of style. Last year, I fell in love with this vest, but my size was sold out. I wasn’t too worried about eventually finding it because manufacturers often bring back popular items with little tweaks. My patience paid off and I found it this year. 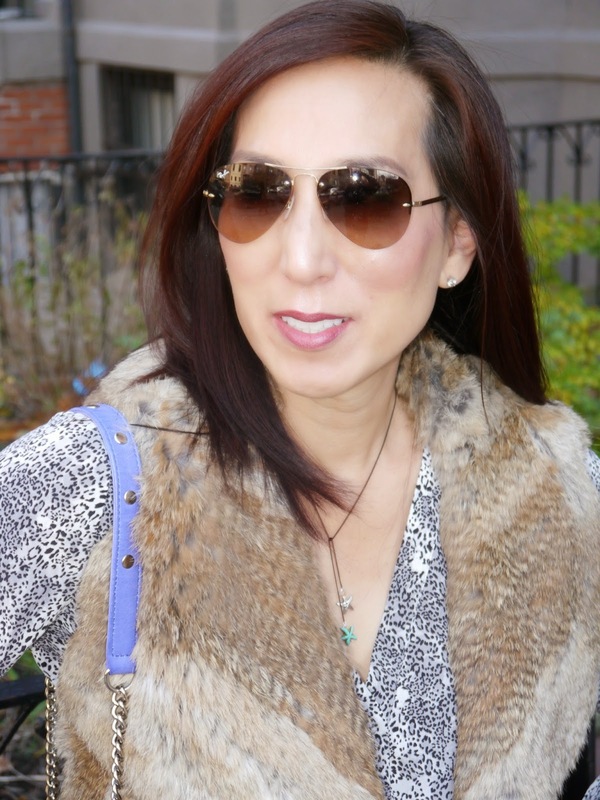 My tendency is to pair it with solids, but I decided to be a risk taker and paired it with a snakeskin print top. I added my Madewell “miracle” jeans (I call them “miracle” jeans because when I put them on, a miracle occurs-it appears that I lost 5 pounds) and bohemian accessories, including this necklace which was a gift from my friend, Anna. This modern hippie outfit is great for a casual weekend! Movie Reviews: "Nightcrawler" and "The Theory of Everything"
I know it's been a while since my last movie post-I was on vacation i for 10 days and didn't see any movies during that time. I saw two movies last weekend, but, sadly, couldn't recommend either of them. I finally found two good ones! In the film, Lou Bloom (Jake Gyllenhaal) is a nightcrawler, a freelance cameraman who films and sells sensationalist footage to news stations. Using a police radio, Bloom cruises the Los Angeles streets, while filming crime, fires, crashes or anything that showcases human suffering. Rene Russo has a supporting role as Nina, a news director who works with Bloom. Nightcrawler is an intense, gory film that is extremely well done. Jake Gyllenhaal’s performance is outstanding-he portrayed Bloom as so oily and smarmy that I wanted to wash my hands when the film was over. 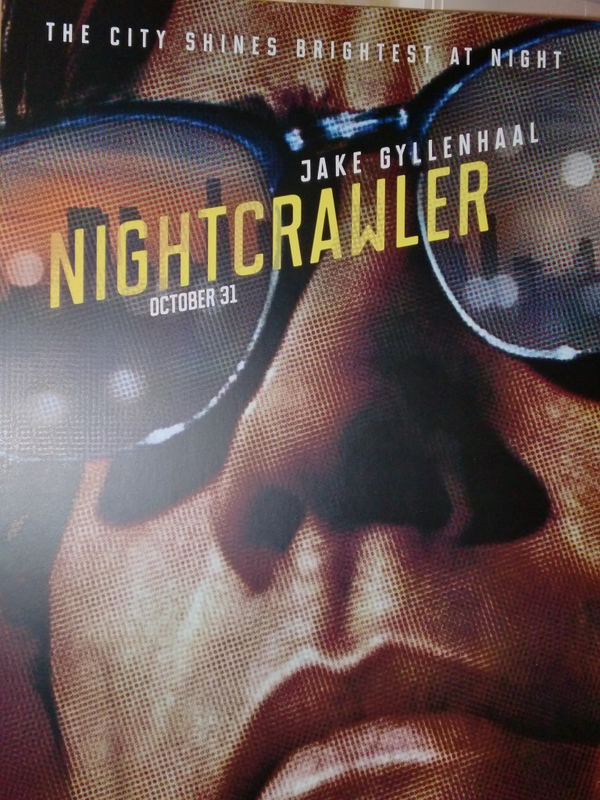 If you don’t mind seeing the underbelly of television journalism, Nightcrawler is the film for you! In 1961, Stephen Hawking (Eddie Redmayne), a Cosmology PhD candidate at Cambridge University met Jane Wilde (Felicity Jones), a fellow student, and they quickly feel in love. Shortly after, he was diagnosed with ALS. Defying the odds and with the help of technology, he has lived with this debilitating disease for more than 50 years and become one of the greatest scientists of all time. Going into this film, I had a neutral view of Stephen Hawking. Though I recognized his scientific brilliance, I wasn’t convinced his social and humanistic traits were well developed. 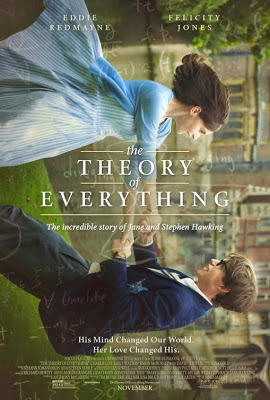 The Theory of Everything showed him as a loving partner, good friend and attentive father as well as a ground-breaking cosmologist. After seeing the challenges he faces on a daily basis, I respect and admire him. You won’t regret seeing The Theory of Everything!